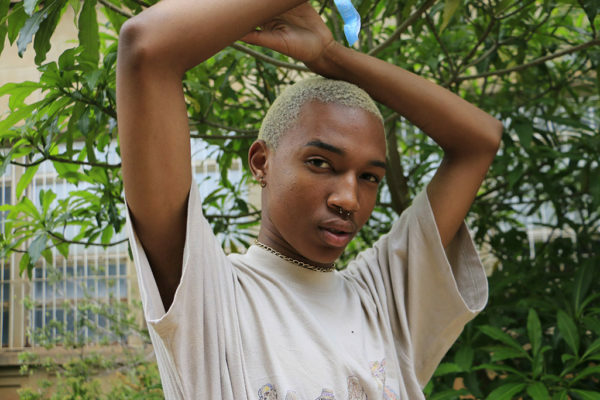 MOVE out the way because we have a new cool kid on the Wits block, first-year BA General student and up-and-coming model, Nkululeko Masemola. The 19-year-old was born in Pretoria but moved around to different places like Bronkhorstspruit and Kwaggafontein, Mpumalanga. This resulted in Masemola attending different schools, but he would often travel to Johannesburg for parties. “I was never at home. I was always the kid who left home to go to parties because no one understood me at home,” he said. Masemola and his friends found solace in the community of fellow gay people in Soweto. “It was a community where you felt so free,” he says. The model was scouted in high school by a former classmate and says he enjoys it because he can be himself. “I get to be myself in the pictures. I’ve seen some commercial models and everyone looks the same and the most interesting thing they’ll have is maybe a gap in their teeth. What I do is interesting because you get different kinds of people and I even get to model with pink hair,” said Masemola. His career in modelling sky-rocketed last year after an interview for South African music duo FAKA. 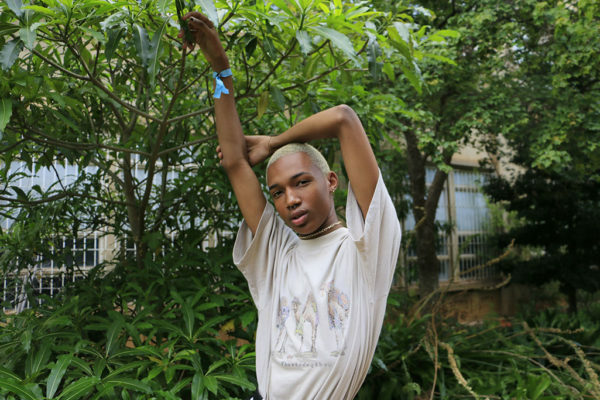 Two weeks after the interview, Masemola and his boyfriend were contacted by British magazine, i-D to feature in a short doccie about young LGBTQ+ South Africans on their YouTube channel. Due to the exposure from the doccie, Masemola and his boyfriend were approached by Cosmopolitan magazine to feature in their February 2018 edition, which is dedicated to LGBTQ+ allies and activists. “I will forever be grateful for FAKA because they really put us on,” he said. Masemola is working towards becoming a creative director and copyrighter. “People are paying me to be me and that’s the coolest thing about me. You can’t tell me nothing,” says Masemola.